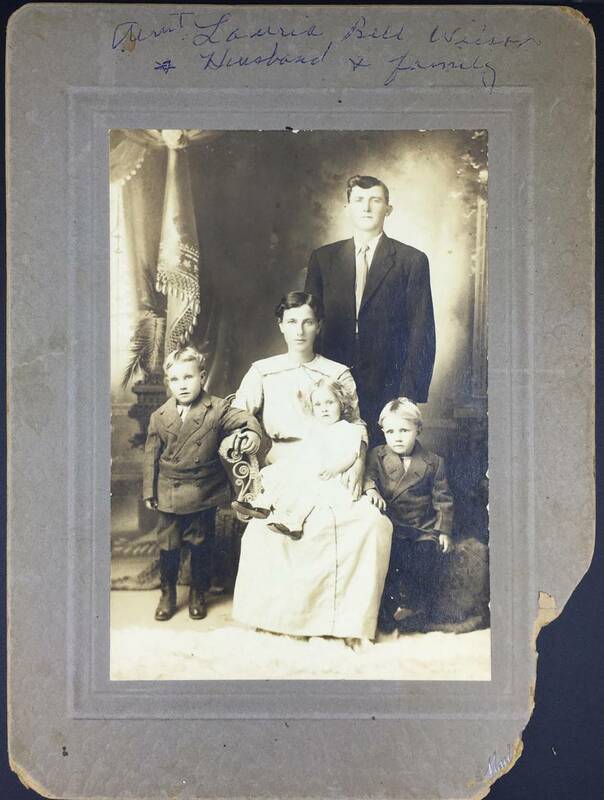 Among the photo collection of my grandmother-in-law, Juaneitha Wilson Wiltbank, was this beautiful family portrait of Laura Bell Wilson Bingham & her young family. Her husband was Thomas Jefferson Bingham, her sons were Thomas Leslie Bingham and Claudy E. Bingham. Her young daughter was Gladice Bingham. Not included in the portrait were twins, Barnie and Berdie, born in 1915. Based on the children’s birthdates, this portrait was taken sometime in 1913-1914. Laura Bell would die in 1919, just a few years after this portrait was taken, at the young age of 36.